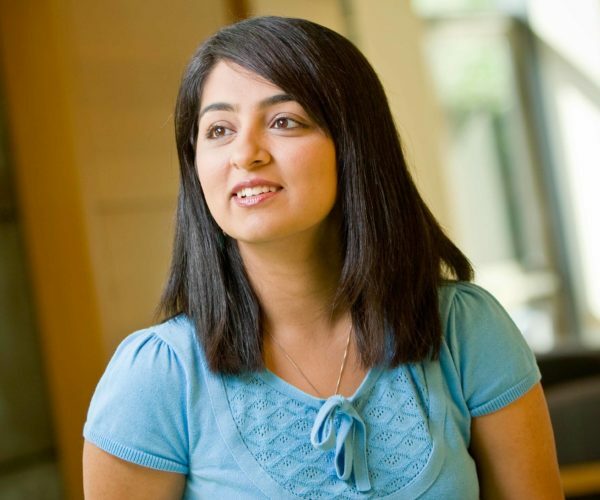 Shimul Melwani came to Wharton primarily to work with Management Prof. Sigal Barsade. “She’s the pioneer in the field of emotions research, which is what I wanted to study,” Shimul said. With Prof. Barsade as her advisor, Shimul is conducting groundbreaking research on the influence of gossip in the workplace. “Faculty here are incredibly busy. They’re torn doing a hundred other things, but they always make time to collaborate and develop doctoral students,” she said. Shimul has worked side by side with Prof. Barsade in Wharton’s Behavioral Lab and the two have developed a symbiotic relationship. “We work well together on papers that we’re writing, and she’s always very willing to help me and give me resources of all kinds,” she said. Shimul also felt supported by the wealth of resources at Wharton — from computing resources and the behavioral lab, to grants and a generous stipend. In her first year, Shimul received a grant to travel to India to collect data, something first-years rarely get to do. “Resources are something that often PhD programs lack, but Wharton enriches students and makes them better able to do research,” she said. She felt like she was finally included. But the experience also taught her that there are functional consequences of many workplace actions that people don’t think are useful, and are often considered to be really negative. When Shimul was applying to doctoral programs, she was also getting married and her husband was moving from Chicago. While searching for the right program for her, she needed to consider her husband. They wanted to be in a place where he would have an easy time finding a job. Philadelphia worked well for both of them. Melwani S, Barsade SG. (2011). Held in contempt: The psychological, interpersonal and performance outcomes of contempt in a work setting. Journal of Personality and Social Psychology, 101(3), 503-520. Filipowicz A, Barsade S, Melwani S. (2011). Understanding emotional transitions: The interpersonal consequences of changing emotions in negotiations. Journal of Personality and Social Psychology, 101(3), 541-556.